It’s been a year since the death of Cuban revolutionary Fidel Castro, which was a sad occasion for all those comrades and friends who for decades have shown solidarity with the people of Cuba and the Cuban revolution. Since the victory of the Cuban revolution, the U.S. rulers did their utmost to stifle the revolution and kill its leader. To this end, they hatched some 638 schemes to assassinate him and also made actual attempts to this end. However, the criminal syndicate of US rulers to carry out subversive acts in the world, the CIA, did not succeed. As we all know, Fidel Castro died a natural death in his mature age. The American rulers could not face the fact that the Cuban revolutionaries who overthrew the US-ally, dictator Batista, were to chose the path of Socialism. In the eyes of Washington this was an unforgivable offence. To keep their hegemonic control of the Caribbean they organised the invasion of Cuba in 1961. But the US-backed Bay of Pigs invasion failed. In 1962, the Cuban Missile Crisis brought the world closer to a nuclear war but luckily the American military hawks did not send us into the nuclear inferno! In fact, it was the Soviet leadership that showed restraint by pulling the recently-placed missiles in Cuba that were placed there in the first place to defend Cuba against American military aggression. In this way, a major crisis was averted that had the potential to ignite a global war. Despite all the hostile American policies and sabotage, the Cuban revolution stood its ground. 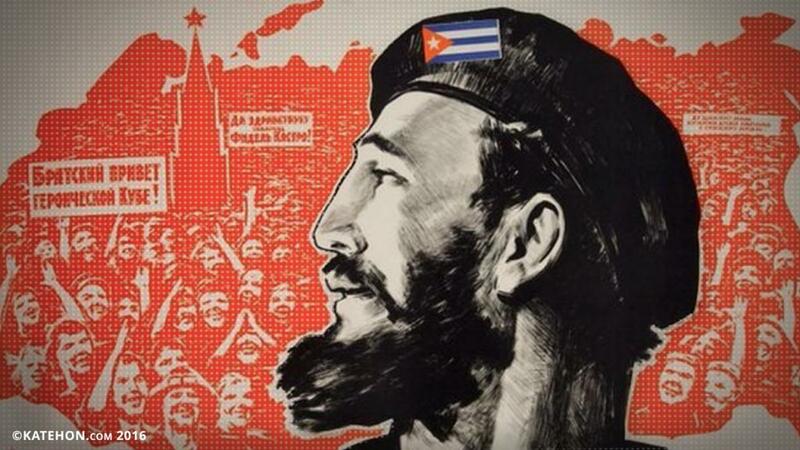 Fidel Castro rose to every challenge and heroically mobilised his people to confront the American imperialism. The collapse of the Soviet Union drastically changed the world political scene with far-reaching repercussions for the Socialist movement. Now Cuba was alone and many thought the end of Socialism in Cuba was just a questions of time. But the resilience of the Cuban people under the inspiring leadership of Fidel Castro and the Communist Party of Cuba did not slacken. Notwithstanding many economic hardships, the rallying cry of Castro was ‘Socialism or death’. That meant no compromise with the neighbour, the only superpower and bully that wanted its hegemony accepted without question. Another disconcerting factor for the Cuban revolutionary government was to see China and Vietnam taking the path of ‘raw capitalism’ while they still retained the name of socialism for their one-party bureaucratic system. Yet, this did not dampen the spirit of Fidel Castro. The revolutionary remained firm in his resolve to lead the fight for Socialism and an independent Cuba. His example inspired Latin American revolutionaries like Hugo Chavez and others. Fidel Castro's name and legacy will endure and continue to inspire new generations of revolutionary workers and activists for a socialist future.